Actual Turkish grill restaurants. You wait ages for one then three come at the same time. 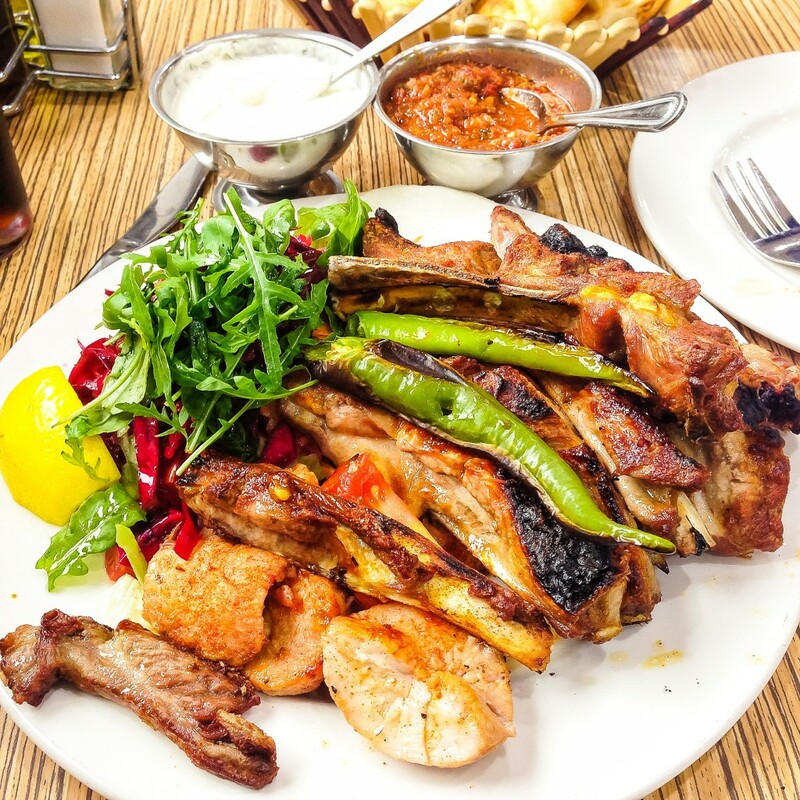 With Istanbul in Handsworth leading the way last year, Nemrut and Rod Roj are hot on it’s heels. I hate to use the phrase “expertly grilled ” as bloggers who say this tend to refer to cheap steaks in mediocre gastropubs. But get this, the Turks are expert grillers and to see a man (it’s always a man) tending an ocakbasi is both mesmerising and strangely appetising. The aroma of lamb or chicken fat atomising on hot coals and permeating back into the meat does that to you. Nemrut on the Dudley Rd, like Istanbul, is not in the most salubrious part of town. The restaurant is large as is the choice of grilled meats with quail and lamb testes on the menu. The portions are generous and expertly grilled here (there I go again) but the bread and salads are average. The esme salsa is terrific here but no rice or bulgur wheat accompany the meats. They have a new location on Holyhead Rd in Handsworth but can’t vouch for that one. 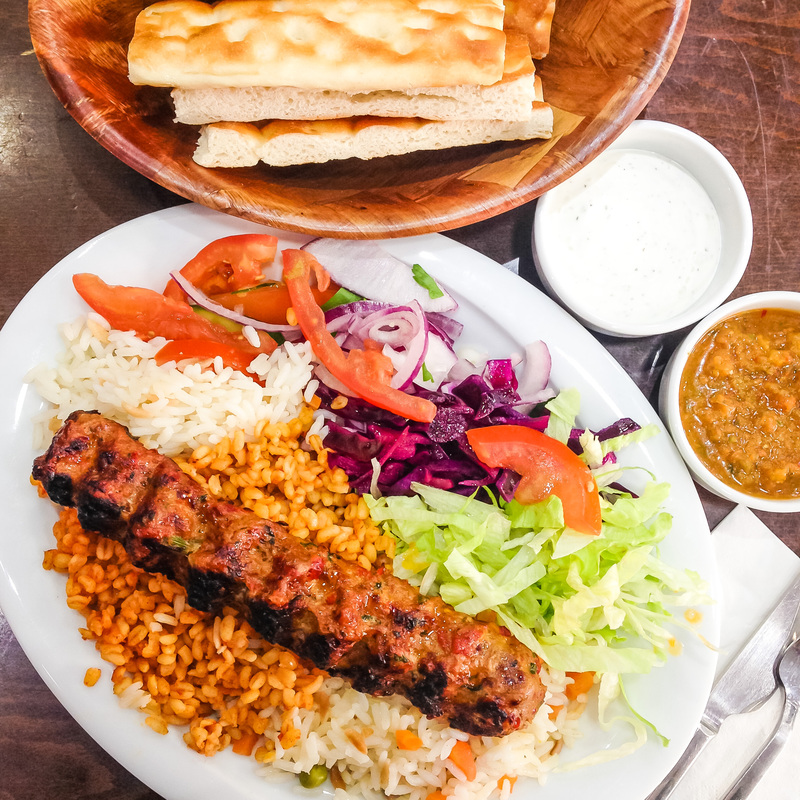 Rod Roj’s Lahmacun and salad, £2.49. Better than a Greggs. Rod Roj looks for all intents and purposes like a greasy late night takeaway for revellers. Situated on Smallbrook Queensway in the middle of town around the corner from the Chinatown bars it attracts its fair share of the inebriated and desperate. I can assure you that I’ve only been in the day and they know how to chargrill. 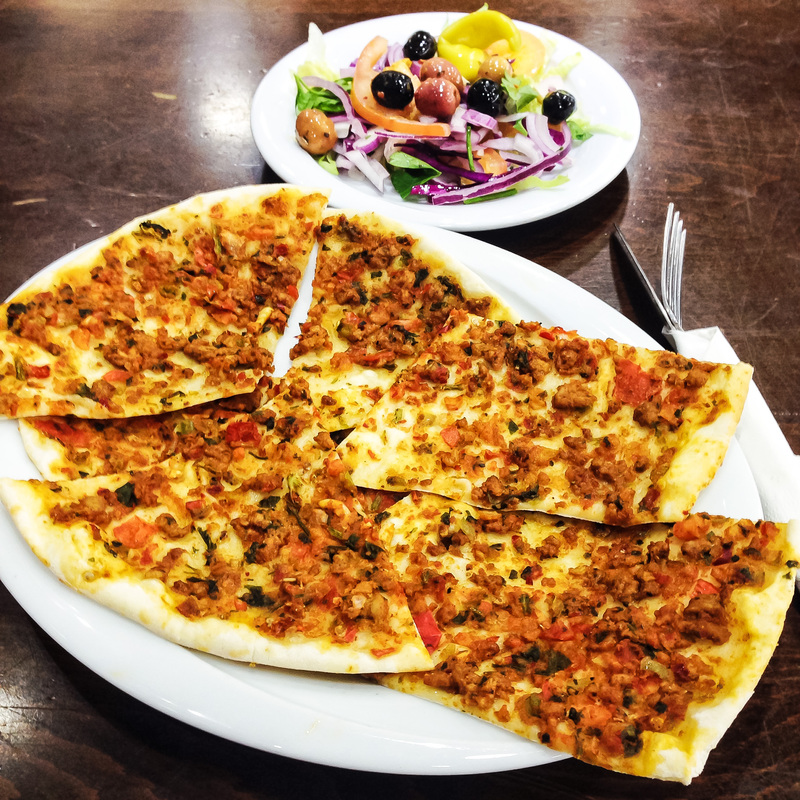 Pop in for lahmacun, the classic Turkish flatbread smeared with lamb mince and a salad. At £2.49 surely the best value eat in the whole of the city centre. Stick around for the juicy adana kebap served with rice and bulgur, the best I’ve eaten. Shame about the pide flatbread which is the worst. But hey it’s free!